The QF1 Quadra Flash is a heavy duty flashing light. Solid State construction with no moving parts assures reliability. 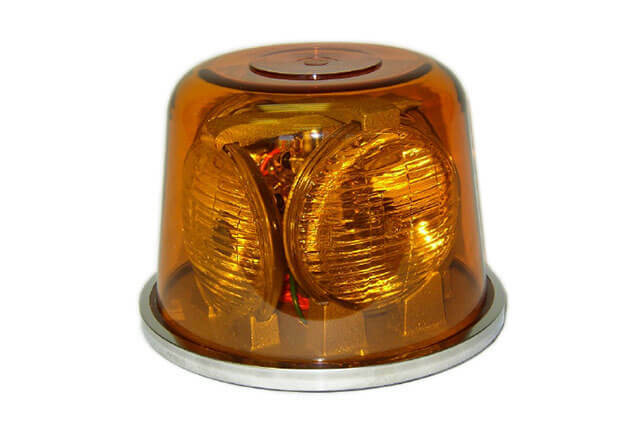 This is the light of choice for rugged construction and highway applications. Four 9,000 candle power sealed beam lamps. 60 to 90 flashes per minute. Extra strong, die cast aluminum base. 5.2 amps at 12 VDC. 6 1/2" high, 8-1/2" diameter, Shipping Weight, 7 lb.